Temporary Visas - Trow&Rahal, P.C. E-1 and E-2 are nonimmigrant (temporary) visas that are great options for highly-placed individuals in companies looking to benefit from commercial treaties. The U.S. business and the individual must have the same nationality. There must be a treaty between that country and the U.S. allowing E-1 or E-2 visas. The E-1 and E-2 visas allow for executives, managers, and other workers with very specialized skills to enter the United States to work on investments in the U.S.
E-1 and E-2 visas are not available to employees or principals of U.S.-owned companies. The E-1 and E-2 visa categories require that the visa applicant and the company that he is coming to the U.S. to work for have the same nationality. For example, a U.K. citizen can only obtain one of these visas if s/he works for a company in the U.S. that is at least 50% U.K.-owned. Owners who have U.S. permanent resident status or who are citizens of both the U.S. and the treaty country are treated as U.S. persons for this purpose and their ownership interest is not counted toward the requirement for 50% ownership by treaty country nationals. To qualify for an E 1 (Treaty Trader) visa, a citizen from a treaty country must be engaged in a substantial volume of trade which is principally (51% or more) between the U.S. and the treaty country. Trade includes the sale of goods, and also includes services such as banking, insurance, transportation, communications, data processing, advertising, accounting, design, engineering, management consulting, tourism, and technology transfer. To qualify for an E 2 (Treaty Investor) visa, the applicant or his employer must have made, or be in the process of making, a substantial equity investment in a U.S. business. The investment must involve an active commercial enterprise, not a passive investment directed by others or held solely for future use or sale. There is no minimum dollar amount of investment required, but the equity investment must be substantial in relation to the nature of the business. In a small business, the equity invested may need to be 100% of the value of the enterprise, or of the amount normally necessary to establish a viable enterprise of that nature. In a larger enterprise, an equity investment of half the value of the enterprise or less may be sufficient. In all cases, loans secured by the assets or stock of the enterprise are not counted as investment capital, even if the investor is fully liable for repayment of the loan. E -1 and E-2 visa holders have U.S. visas that are valid for 5 years and can be renewed for an indefinite amount of time. This is an especially good route to take if the investor is not interested in receiving permanent resident status. Family members obtain derivative E visa status, and the spouses of investors (but not children) can apply for work authorization once they are in the United States. An E-3 visa is similar to the H-1B visa in that it is for specialty occupation professionals. However, the E-3 visa is limited to Australian citizens pursuant to a free trade agreement between the U.S. and Australia. The E-3 visa, like the H-1B visa, requires as a first step the filing of a Labor Condition Application (LCA) (see H-1B visa). Once the LCA is obtained, the individual can apply for an E-3 visa directly at the U.S. consulate; it is not required to first file the petition in the United States. Applicants who are already in the U.S. may apply at the consulate or file a petition with the U.S. Citizenship and Immigration Service. Status is granted in two-year increments and may be extended indefinitely as long at the person maintains nonimmigrant intent. The spouse and children of E-3 workers obtain E-3 visas, and the spouse is eligible to apply for work authorization once in the U.S. but the children are not. A U.S. company may want to hire a foreign national who has recently graduated from a U.S. college or is continuing to study at a U.S. college. If the person has recently graduated, he is usually entitled to up to 12 months of “optional practical training” (OPT) in F-1 (student) visa status. Practical training authorizes a foreign national to work for any employer. The foreign national must have a Form I-20 from the college that is endorsed for practical training and an employment authorization document (EAD) issued by U.S. Citizenship and Immigration Services (USCIS) in order to commence employment under F-1 OPT. Alternatively, a student may have work authorization for “curricular practical training” while continuing to study. This type of work authorization is limited to a particular employer as noted on the back side of the Form I-20 and does not require an EAD. The H-1B visa is available to applicants who have at least a U.S. Bachelor’s level degree, or foreign equivalent, or equivalent work experience, and will work in an occupation where that specific degree or a closely related degree is the normal minimum requirement for employment. There are three steps involved in obtaining H-1B visa status: (1) a Labor Condition Application (LCA) that is filed with the U.S. Department of Labor (DOL); (2) an H-1B visa petition that is filed with the USCIS; and (3) in some cases, an H-1B visa application that requires the employee to appear in person at a U.S. consulate outside the United States to apply for a visa. There is an annual limit or “cap” on the number of new foreign workers who can be granted H-1B status. This annual limit causes H-1B status to become unavailable for months at a time during a fiscal year, which poses serious problems for foreign students whose practical training authorization is expiring, and for graduates of foreign universities who are seeking H-1B visa status for the first time. physicians seeking H-1B status to work in a medically underserved area. H-1B visa status is initially granted for a period of three years. It can be extended for three more years, up to a maximum stay of six years. Extensions beyond six years are available to employees who spend less than half their time in the U.S., or who remain outside the U.S. for more than one year. Extensions beyond six years are also available to an employee who has applied for permanent resident status before the end of his or her fifth year in H-1B visa status. The spouse and unmarried minor children of an H-1B worker are admitted in H-4 status for the same duration of stay as the H-1B worker. They are not authorized to work in the United States. The H-3 is a training visa for foreign nationals allowing the trainee to stay in the U.S. for up to two years, and to be paid from a U.S. or foreign payroll. It requires the trainee to demonstrate intent to depart the U.S. at the completion of training. no U.S. workers will be displaced by the trainee. The spouse and unmarried minor children (under 21 years of age) can obtain derivative H-4 visa or other visa status that will allow them to accompany the trainee to the U.S. The spouse and children are not authorized to work in the United States. The J-1 is similar to the H-3 visa, except that the U.S. Citizenship and Immigration Service (USCIS) is not involved. Instead of filing a visa petition with the USCIS, the company submits a much simpler application to one of several private organizations that administer J-1 visa programs under the auspices of the U.S. Department of State (DOS). Processing times for J-1 visas range from 2 to 4 weeks with some program sponsors, to 12 to 16 weeks with others. The J-1 visa has a maximum duration of 18 months. As with the H-3 visa, the trainee must demonstrate intent to depart the U.S. In addition, J-1 trainees from many countries can be subject to a two-year foreign residence requirement. Trainees who are subject to this requirement must return to their home country for at least two years before they are eligible to work in the United States in L-1 or H-1 visa status or to obtain U.S. permanent resident (green card) status. In general, trainees from less-developed countries will be subject to this requirement because the skills they learn during their training are in short supply in their home country. The DOS maintains a “skills list” that can be consulted to determine whether a particular skill is in short supply in a particular country. If this requirement applies, it helps the trainee to satisfy the requirement that s/he intends to depart the U.S. at the end of the training, since alternatives for remaining in the United States are severely limited. The derivative visa status for a spouse and children is J-2. The spouse may, in some cases, obtain authorization to work. Children, however, cannot obtain authorization to work in the United States. The L 1 visa category can be used to transfer employees to the U.S. from affiliated companies outside the United States. L 1 visa status is an option for individuals who have worked for a company continuously for at least one year outside the U.S. within the three years prior to entering the U.S. in a managerial or executive position, or in a position requiring highly specialized knowledge of the company’s business, and who will be working in the U.S. for the same company, or a U.S. parent, subsidiary or affiliate of the foreign employer. In most cases the sponsoring U.S. company must file an L-1 visa petition with the U.S. Citizenship and Immigration Services (USCIS) in the U.S. and obtain USCIS approval before the employee can obtain an L-1 visa or change to L-1 visa status from another visa status. The L-1A category is for executives and managers, and the L-1B category is for persons holding highly specialized knowledge. The maximum initial duration of L-1 visa status is three years, or one year if the sponsoring company has been doing business in the U.S. for less than one year. L 1 visa status can be extended up to a maximum duration of seven years for executives and managers (L-1A), or five years for employees with specialized knowledge (L-1B). The spouse and unmarried minor children of an L-1 worker can be admitted in L-2 status for the same duration of stay as the L-1 worker. A spouse in L-2 visa status can obtain authorization to work in the U.S., but children in L-2 visa status are not authorized to work. A nonimmigrant (temporary) visa status, the new office L-1 visa is an effective way to enter the United States to direct a new venture from a pre-existing foreign-based company. This is a great opportunity for workers to live in the United States and for companies to expand their business. The new office L-1 visa recipient receives a one year temporary visa that can be extended for up to 5-7 years depending on the position in the U.S. enterprise (See L-1 visa description). Spouses receive derivative L-2 visa status. The spouse can apply for work authorization in the United States. The parent foreign company must prove it has existed for more than one year. The applicant for the new office L-1 visa must have proof that s/he has worked for the parent company for at least one of the last three years. The new office L-1 visa applicant should be either an owner in the company, a high-level manager, or another individual with a very specialized skill set. While a new office L-1 visa applicant may initially perform tasks that fall below that of a managerial position, it is expected that by the end of the first year this will not be the case. New office L-1 visa applicants must show they have a detailed business plan for the new U.S. office; acquired adequate premises for their U.S.-based business; acquired licenses to conduct business and incorporation documents; and other evidence of opening a new office in the United States. It is expected that workers and investment will rise after the first year. 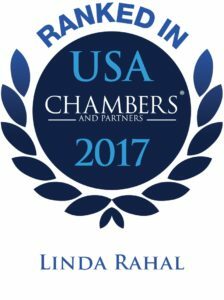 After the first year, the company must file an extension to the L-1 visa petition for the foreign national showing that the business has increased, the U.S. company has hired U.S. workers, and other factors showing the U.S. company’s business will continue. O-1 is a nonimmigrant (temporary) visa status for individuals who have achieved sustained national or international acclaim in their field of employment, and be one of the few who have reached the top of their field. The applicant must have “extraordinary ability in the sciences, arts, education, business, or athletics which has been demonstrated by sustained national or international acclaim.” This is a very high standard that requires either a major internationally recognized award (such as a Nobel Prize or Academy Award) or extensive documentation of achievements and recognition which demonstrate that the applicant has risen to the very top of his field of endeavor. O-1A: Individuals with an extraordinary ability in the sciences, education, business, or athletics. O-1B: Individuals with an extraordinary ability in the arts, or extraordinary achievement in motion picture or television industry. O-2: Individuals who will accompany an O-1, artist or athlete, to assist in a specific event or performance. Assistance must be an “integral part” of the O-1A activity and “essential” to the completion of the O-1B’s production. O-3: Individuals who are the spouse or children of O-1s and O-2s. The R-1 visa is for foreign nationals who are religious workers and who are coming to the U.S. to work for a non-profit organization in the U.S. (or an organization which is affiliated with the religious denomination in the U.S.) and to work as a minister or in a religious vocation or occupation. The North American Free Trade Agreement authorizes Canadian and Mexican citizens to enter the United States in TN visa status for employment in certain professional occupations. TN visa status is similar to the H-1B visa category, but it does not require the filing of a Labor Condition Application with the Department of Labor or a visa petition with the U.S. Citizenship and Immigration Service (USCIS). With a few exceptions, a Bachelor’s level degree or a professional license is the minimum qualification necessary for TN status. TN status can be granted for up to three years initially and can be renewed in three-year increments, with no upper limit. A Canadian citizen seeking TN status can apply directly to a U.S. immigration inspector at a U.S. port-of-entry (either land border or pre-flight inspection at a designated airport in Canada). The application is normally processed within one to two hours, after which the person can enter the U.S. to commence employment. A Mexican citizen must first apply for a TN visa, which requires a personal appearance at a U.S. consulate outside the United States before applying for entry at a port of entry. Alternatively, a Canadian or Mexican citizen who is already present in the U.S. can apply by filing a TN petition with a USCIS Service Center, where the processing times are similar to H-1B processing times. The spouse and unmarried minor children of a TN worker are admitted in TD status for the same duration as the TN worker. They are not authorized to work in the United States. 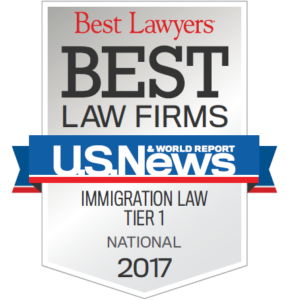 To learn how our Winning Immigration Strategies can work for you, contact us today. Request a Consultation: Click here to fill out our online form. Will We Get Parole for Entrepreneurs in 2016? "You can tell a lot about a law firm by what their peers are saying."